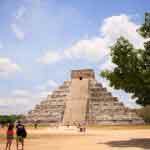 Our tours from Playa Del Carmen are guaranteed to please you with our everyday low prices and high quality standards. 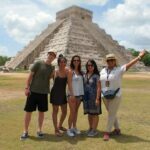 We offer one of the biggest selections of discount tours in Playa Del Carmen at wholesale pricing. Our pricing will beat any tour or travel desk that you will find at your hotel, or on the street in Playa Del Carmen so there is no need to shop around. It is our direct relationships with local, hand selected tour companies that makes this all possible for you. 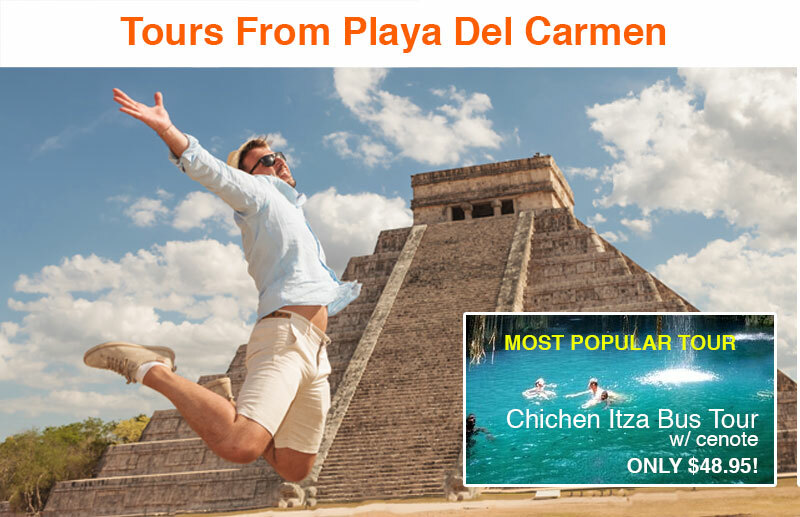 So pick out the tours that excite you, and we will work hard to make sure that your experience with Wonderous World and Playa Del Carmen is one that you will always remember. 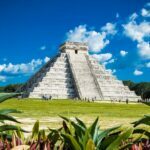 Playa Del Carmen could very well be the best location for your next trip to Mexico. 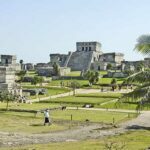 It sits on one the most beautiful stretches of the Carribean Sea, it is not over crowded, and it is located in the middle of all of the great Mayan cities. 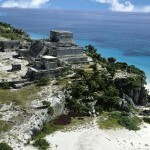 From here you have access to Chichen Itza Tours, Tulum Ruins Tours, Cenote Tours and much more. 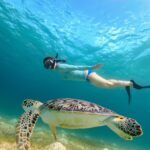 There are so many great tours from Playa Del Carmen, and we are doing our best to make them available for you all in one place. Outside of our huge selection of Playa Del Carmen tours you will also find much to do in the city. You will be able to shop for souvenirs, and mingle with the locals on the world famous 5th avenue. This famous street parallels the Carribean coast about one block from the beach. At any given point, you can take a break from shopping and take a dip in the ocean to cool off. You will find that 5th avenue is much more active at night however, as most visitors will spend the day on the beach working on a nice tan, or buzz from the many tropical drinks that are served at a large selection of beach restaurants and bars. So plan your trip accordingly as there is something for everyone in this city by the sea. Just as there is options in the city, you will find many tour options outside of the city. When planning your tour schedule in Playa Del Carmen you have a few things to think about. Most importantly what do you want to see and do. 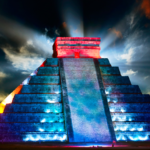 For those who have not been to the many Mayan Ruins we do strongly recommend taking one of these tours. The history, and majesty of these structures is second to none anywhere in the world. 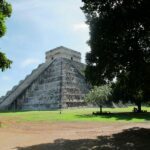 In fact Chichen Itza was just recently voted one of the new 7 wonders of the world! Depending on your group size you may consider a bus tour for value, or you may also consider a private tour to accommodate just your group with a personal guide throughout the entire tour. However if you are looking for an action packed day tour on the water we would recommend something like our Isla Mujeres Catamaran Tour. This tour, or journey is more like it, includes and open bar on board. It also includes water activities such as snorkeling on one of the most beautiful protected reefs off Isla Mujeres, as well as a ride on the spinnaker of this large sailboat up to 20 meters above the water! 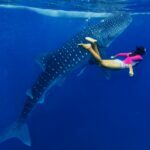 Top this off with a gourmet Mexican Buffet lunch, and picture opportunity´s with a nurse shark and you have one of our favorite tours that we offer. However the choice is always yours, whether you want to swim with dolphins, booze cruise, or depart to a historic city we are with you all the way. You can trust that all of our hand selected tours from Playa Del Carmen, are ones that we enjoy and that you will too! So, take a look around our massive selection of tours, and find the ones that are right for you. We will see you soon, in Playa Del Carmen.